The Onstage Local in Minneapolis was my first event as a member of the Global Events Council - Wow!!! What an amazing weekend I had!!! One I will never forget! I got to spend the entire time with an outstanding group of Stampin' Up! employees and they treated me as one of their own. Here's a photo of us after a quick trip to the Mall of America on Thursday night before all of the Stampin' Up! events started. We had a quick meeting Thursday night and were up bright and early Friday morning to set up for the event. I was blown away (as usual) by the attention to detail that Stampin' Up!shows at these events. It wasn't long before the convention center looked amazing! At the event, I was asked to present a business spotlight on a new suite from the upcoming Annual Catalog - Birthday Memories Suite. Such a cute suite - and what a pleasure for me to get to present! I made lots of samples with this suite - and will be sharing them with you over the next few days - so please stop back!!! The bundle with this suite is just that - sweet! It contains not only the Birthday Delivery stamp set, the Birthday Friends framelits but also adorable Birthday Memories Designer Series Paper - and the best part - the framelits cut images from the Designer Series Paper - this is the first time we have had framelits like this - which means no fussy cutting! YAY!!! So enough babbling - here are a few samples for today. 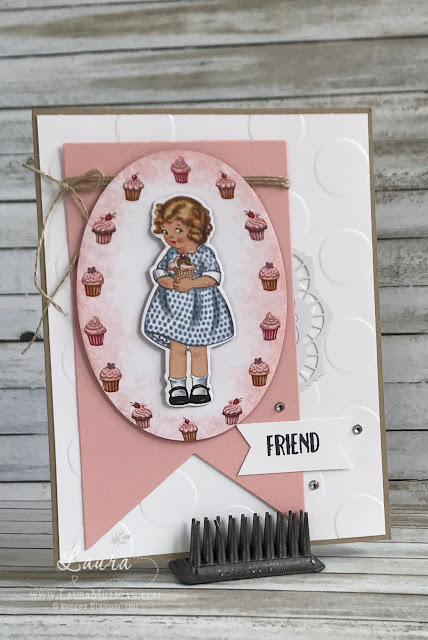 I fell in love with this sweet little girl - she is cut from the Designer Series Paper, as is the oval shape with the cupcakes. 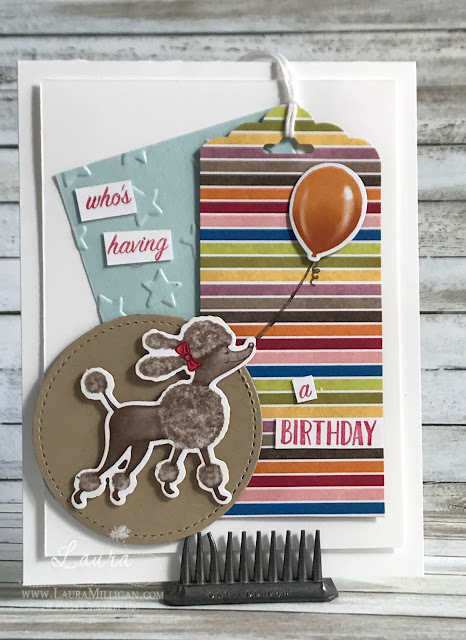 I just added some embellishments, and embossing and this card was finished! The second card I want to share today is also of the little girl - it has a little more layering, but is also one that goes together quickly. 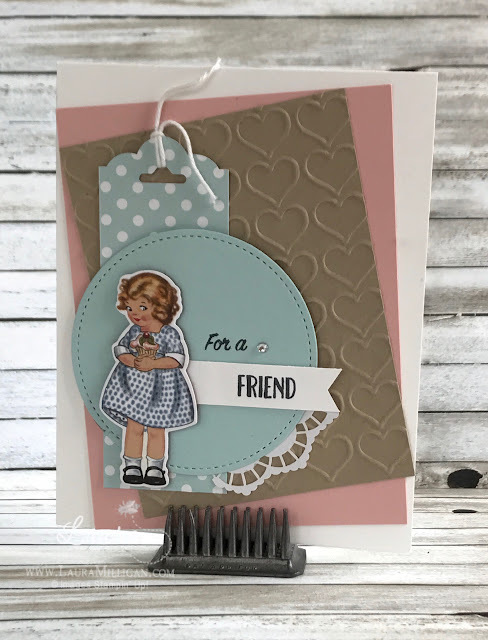 Please stop back tomorrow for some more of my project presentation samples!